Compared to last week, western Canadian yearling prices were $2-$5 lower on average while calf markets were relatively unchanged. Weakness in deferred live cattle futures, along with stronger barley prices, set a negative tone. Most of the Prairies have received less than 40 per cent of normal precipitation over the last 30 days, but this has not changed the marketing schedule for cow-calf producers. The industry hasn’t experienced significant equity building and buying power is not as strong as in past years. Feedlot operators are wondering if earlier optimism was a bit presumptuous. In central Alberta, medium-frame lower-flesh mixed steers averaging 950 lbs. sold for $190 while mixed heifers averaging just over 900 lbs. sold for $173. In southern Alberta, larger-frame tan steers averaging 840 lbs. were quoted at $206 while black mixed heifers of similar weight were valued at $176. Feeders weighing between 700 and 800 lbs. remained firm this week. A small group of larger-frame steers averaging 740 lbs. were valued at $222, landed in southern Alberta feedlot. The calf market was hard to define, but buyers showed limited interest in the lighter weight categories. The farmer/backgrounding operator is in the midst of harvest and larger feedlots are focused on yearlings. Steers averaging around 600 lbs. remain in the range of $228-$233 across the Prairies. There’s a cautious tone amongst major operations because of the feed grain situation. 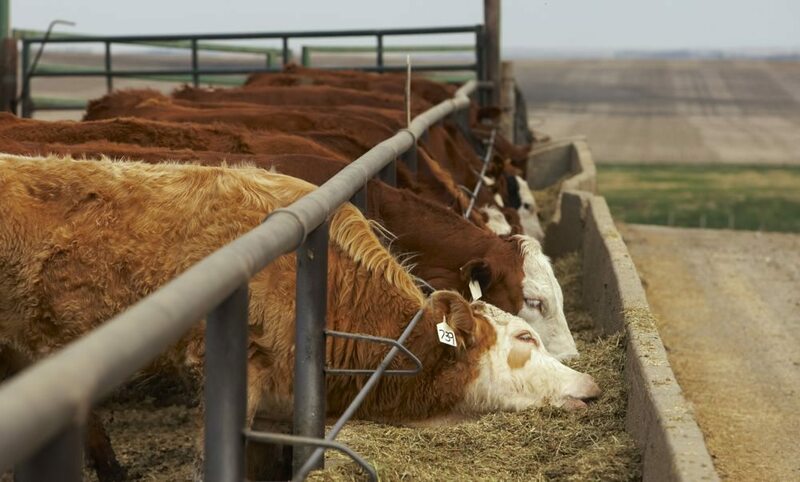 This is the year when feedlots will book their feed grain requirements first and then buy the feeder cattle. Larger volumes of U.S. corn are trading into southern Alberta. Over the winter period, it’s not uncommon to have rail movement run 25-45 days behind schedule. Sourcing barley is also becoming more difficult due to stronger export demand. All these factors are coming into play, which has caused a downturn in the feeder market.